I made a new lighbox recently and I now have a black background. I'll be using it for a few posts just to see if I want to stick with it or not. Let me know what you all think! Today I have a review of these cute patterned water decals from The Born Pretty Store. I really love their water decals because you can get them in a variety of patterns, so there's always something new to choose from. Let's take a look! These water decals come in one sheet of five patterns (one is not shown in the photos). Each pattern has two sets, making a total of 10 decals for each of the patterns. The great thing about these decals is that you can basically cut anywhere in the pattern and it will give you more variety in your design. 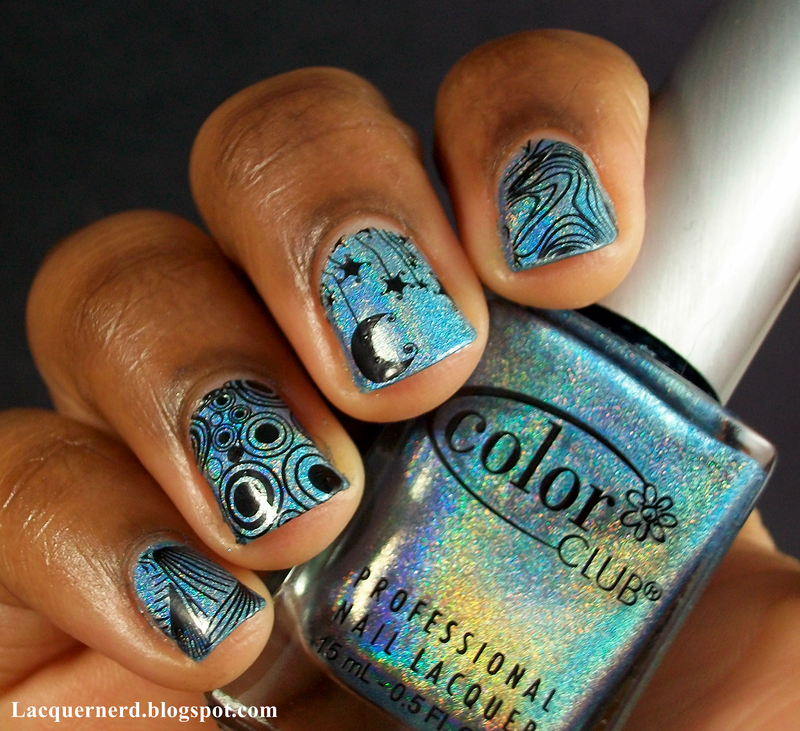 For these nails, I started with two coats of Color Club's Over the Moon. Once the polish dried, I placed the water decal in lukewarm water for 10-20 seconds. Next, I dipped my finger into the water to make the decal stick and placed the decal on the nail. Finally, I dabbed the water off with a paper towel and filed the excess pattern to fit my nail shape. A helpful tip for removing the excess is to dip an angled brush (mine is my cleanup brush) or a qtip into acetone or nail polish remover. I found it to be easier and quicker than filing it off. Filing it off also pulled the decal and it would start to fold. 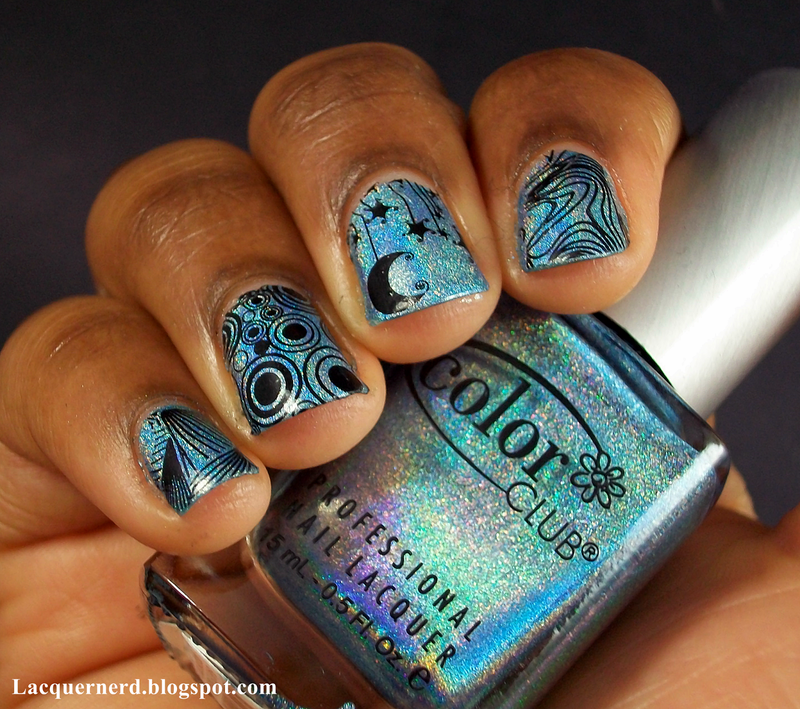 Overall, I really loved this water decals. I think my favorite pattern out of them all is the moon and stars patterns. It looks cute on the nail. As far as durability, these lasted a few days for me just because I'm a little rough with my hands. I would recommend not putting a top coat on just because the first time that I wore these, the top coat made the decal streak. It's up to the person though. You can get these patterned water decals and other nail art supplies at The Born Pretty Store. You can also use my coupon code SHBQ10 for an extra 10% off your entire purchase! 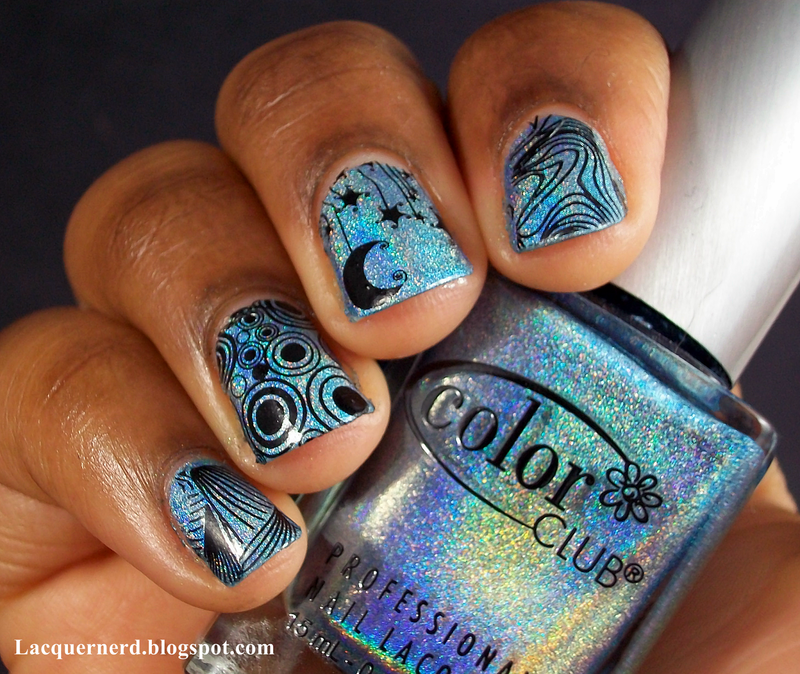 What do you think of these water decals? Thanks for reading!